Doctors use lung function tests, or pulmonary function tests, to understand the cause of a breathing problem. From the results, the physician can diagnose the condition. For instance, your health care team may realize your shortness of breath is actually a result of asthma and can then prescribe the appropriate treatment plan. The NIH noted that these tests evaluate the strength of your breathing muscles, how much air you take in and release, your breathing pace and your lungs' ability to deliver blood and oxygen to the rest of the body. If you are concerned about your breathing patterns, speak with your doctor about undergoing a lung function test. While research has clearly linked cigarette smoking and poor respiratory health, secondhand smoke may cause similar side effects. A review published in the Journal of Environmental Science and Health analyzed studies about the effects of indoor air pollution on seniors. By looking at 33 studies, researchers found that one relationship in particular stood out: the connection between exposure to secondhand smoke and the occurrence of COPD. According to the COPD Foundation, chronic obstructive pulmonary disease is really a catch-all phrase for certain lung diseases. Overall, the condition causes wheezing, coughing, chest tightness and difficulty breathing. While you can't necessarily reverse long-term exposure to secondhand smoke, it's important to avoid it as much as possible to prevent the toxins from worsening your respiratory health. To do this, the Mayo Clinic advised seniors turn to smoke-free assisted living communities and don't allow passengers to smoke in their vehicles while driving. 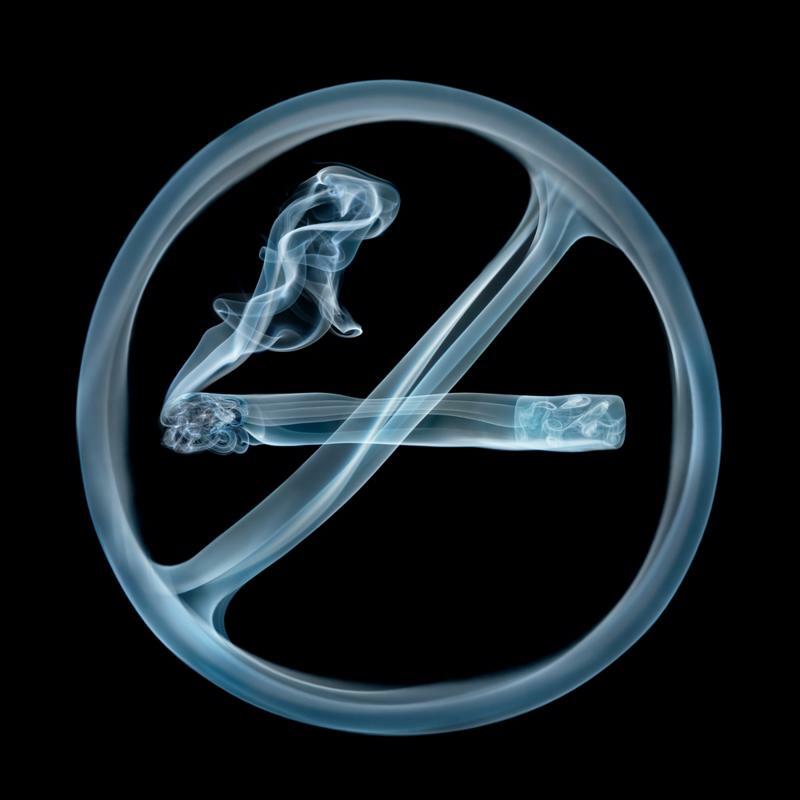 Protect your lungs from secondhand smoke. Staying physically active is important for your overall well-being, but it carries extra benefits for your respiratory health. Squeezing in regular workouts during your weekly routine can both prevent and improve lung issues. Always check with your physician before beginning a new workout regimen, and if you're just starting, remember to work your way up. Consider joining an exercise class at your assisted living community. The trained staff members will walk you through the proper technique for each exercise. Otherwise, start walking around the neighborhood. This low-intensity activity is a great way to ease your body and lungs into exercising. 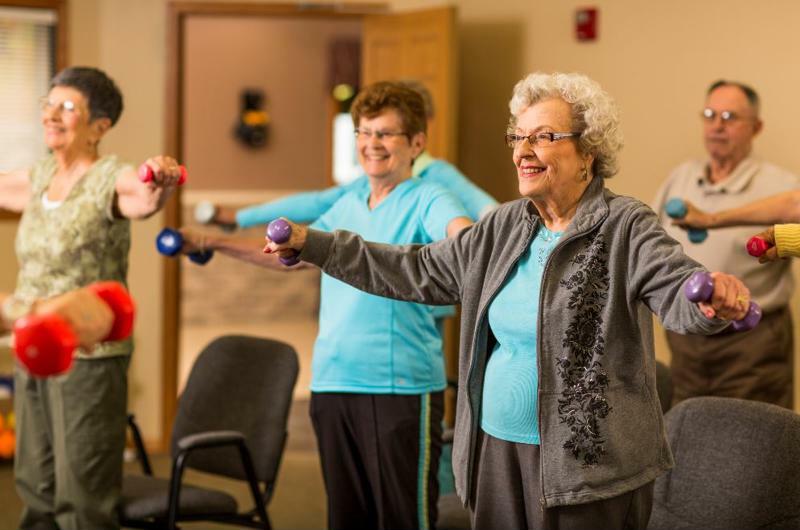 Participate in group exercise classes at your assisted living community. Even minor illnesses like the common cold can have serious repercussions for your respiratory health. The flu may damage your lungs and overall well-being even more, so it's important to stave off these ailments with proper hygiene and health practices. Before flu season sets in, consider getting a flu shot at your doctor's office or local pharmacy. The Centers for Disease Control and Prevention advised that seniors receive the Fluzone High-Dose influenza vaccine, which was designed specifically for adults age 65 and older. The product contains a greater amount of antigens to compensate for seniors' generally weaker immune systems. Keep your distance from people who are sick. Try not to touch your face (especially the mouth and nose). Consuming foods rich in vitamins and nutrients not only boosts your immune system, but it can also enhance your respiratory health. The British Lung Foundation noted that eating a well-balanced diet helps you manage your weight, which in turn benefits your lungs. The BFL explained that starchy carbohydrates, like those found in pasta and potatoes, give your body the energy it needs to breathe and stay active. Meanwhile, fruits and vegetables help your lungs fight infections, and protein keeps your breathing muscles strong. Don't let this common age-related health issue stop you from living a fulfilling and active retirement lifestyle. Use these preventative measures and follow any doctor-prescribed treatment regimens.